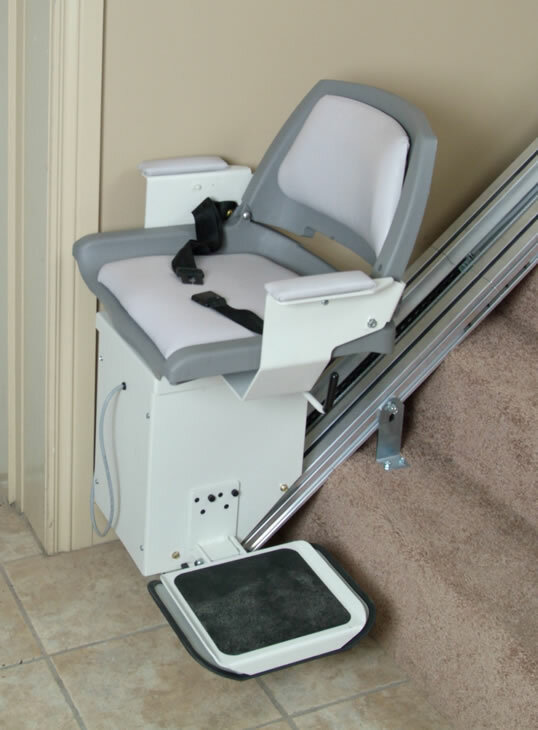 AC Stair Lifts - AC means Alternating Current which is what comes out of your home's plug. These stair lifts get power directly from the plug. Their advantage is that they are simpler to make and therefore cheaper. 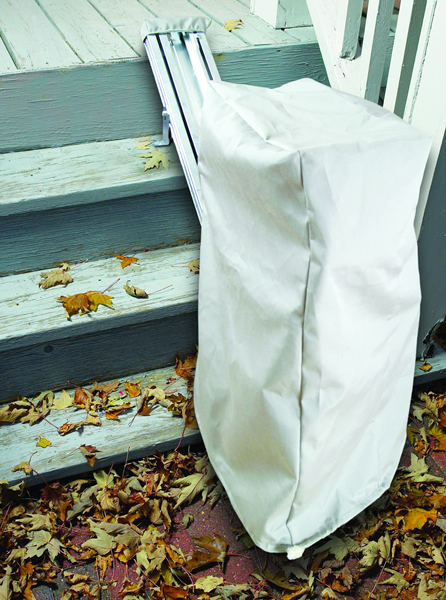 Their disadvantage is that if your home loses power, so does your stair lift. DC Stair Lifts - DC means Direct Current. These stair lifts have batteries in between the plug and the motor. Their advantage is that they continue to work if your home loses power. Their disadvantage is that they cost a little bit more and you have to replace the batteries every 1-2 years. These units are often called "Battery Powered Stair Lifts" because that is the more accurate name. 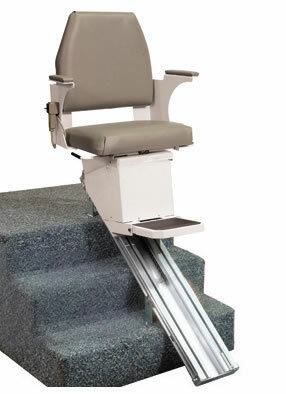 Heavy Duty - Heavy duty stair lifts have wider seats that are safer for larger individuals. Some models have upgraded components, but many don't as their aluminum track and motor are strong enough. Outdoors - Outdoor stair lifts are either partially weatherized and need to be covered when not in use or they are completely weatherized and can simply be left where they are whether it snows or rains or gets hot or cold. Commercial Ready - Commercial code requirements vary from state to state, but generally the stair lift must have keyed controls and a keyed base unit. This means you need a key to use the stair lift and prevents unauthorized use. Reconditioned or Used - If money is the deciding factor, you may be able to find a used unit or reconditioned unit that will meet your needs. Many manufacturers even have transferable warranties that offer peace-of-mind in a used stair lift. 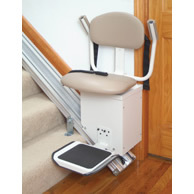 Stand Up Optional - This kind of stair lift is necessary if the user cannot sit down due to knee problems. They let the user stand as they are lifted up or down the stairs. Still have questions? We're here to help. Call 1 (800) 791-6819 now to speak with our stairlift experts. You can also contact us via email immediately.